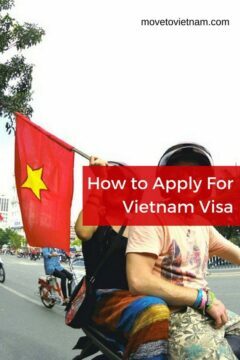 After I explained about the different types of visas in Vietnam, it’s time to discuss what is the best way to apply for your visa to Vietnam. I will walk you through the different ways to obtain your Vietnamese visa and how to use it properly either you are moving or backpacking in Vietnam. STAMP FEE: Those who didn’t get their visa and are not eligible for a free visa, you need to pay for a stamp fee especially those who are going to use an invitation letter and evisa. Remember to bring US Dollars, the fee ranges between $25-$50 depending on your visa type. If you haven't found a hostel for Vietnam yet, check out this best hostels in Vietnam. Check out the table of contents below to navigate easier. Note: These nationalities should have 30 days gap between two visa-free visits. Must show an onward ticket. If your free visa is not enough or you are not eligible for a free visa, you can apply for an e-Visa which is valid for 30 days with a single entry to Vietnam. 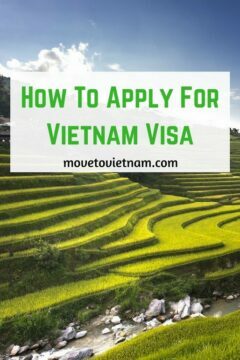 The oldest but the most reliable way to get your visa to Vietnam is definitely through their Embassy in your home country or your current base. The only downside of this option is the speed of the processing, some take only a few days while others take a week or more. Another hassle is the requirements, some Embassies are very strict, they might ask you for more documents. While the good side of this is that you are sure that you are in the safe hands and no scam will happen plus the fees can be cheaper than other options. Some visas, like permanent visa, working visa, student visa, or others can only be processed by the Embassy or Consulate. Getting your visa through an agency has its advantage for sure, like the speed of the process and the convenience. While the downhill of this option is that sometimes it’s hard to know if this agency is legit or not. Do your research and read their reviews online, reach out to their customer service if you have questions. There is a small difference between a travel agency and online when it comes to getting your visa. When doing online, you do not need to talk to someone face to face, you can do your payment, submit your requirements, get your visa, all of these can be done over the web. The good thing about this is that you do not need to leave your passport to someone else. However, only business visas and tourist visas can be processed online. Going through an online platform can also be cheaper than through an agency. Personally, I suggest this pl​atform when getting your Vietnam visa online. I have used them a couple of times and have recommended them to my friends and readers of this website. If you are US citizen, you can get a business visa which will let you travel for a year in Vietnam and will allow you to legally find a job and work while waiting for a work permit. Read more about it here. NOTE: You will only get a letter hen applying via online, which you need to print and present at the immigration when you land in Vietnam, you then have to pay a visa sticker fee. Take note that invitation letter cannot be used on land border crossing if you are planning to cross Vietnam from Cambodia. However, you can easily arrange your Vietnam visa in Cambodia. If you are in Phnom Penh, you an go to travel agencies and see your options. Personally, I went to Lucky! Lucky! Mortobike Repair Shop. In the front of their office is a motorbike repair shop go through it and you will the door or simply ask anyone on the shop. I did a 3-month tourist visa with multiple entries and paid $85 US. It took about 2 days to process. If you come early in the day the process might be faster. Normaly it's 3-4 business days depending on the type. Simply check on Google Maps its location, it's pretty much not far from the backpacker's street. You can also do it through Vietnamese Embassy, but the process is longer because they can be very busy. Doing it by yourself can be stressful too although it's cheaper. If you are crossing the border from Laos to Vietnam, you can get a Vietnam visa in Luang Prabang through the Vietnamese Consulate. Like what I mentioned above, invitation cannot be used visa land border. If you have any questions regarding applying or obtaining a visa for Vietnam, feel free to leave a comment below or send us an email - contact us.